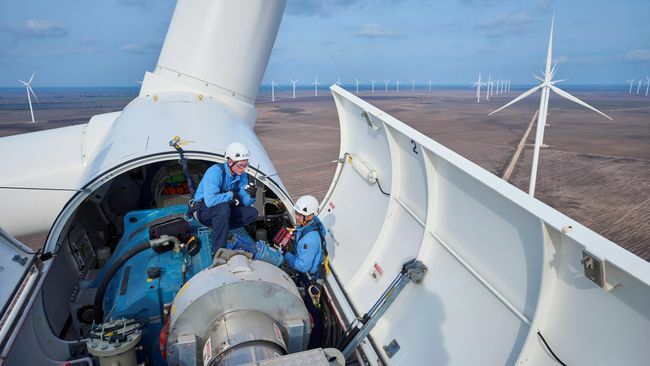 Siemens and Duke Energy Renewable Services today announced an agreement to offer North American wind farm owners operations and maintenance services for multiple brands of wind turbines. Siemens and Duke Energy will combine their complementary service capabilities on Siemens and other OEM equipment. The agreement offers a one-stop shop for customers who are managing multiple brands of wind turbines in their fleet, helping them stay competitive and derive maximum value from their wind energy assets. The cooperation between one of the world’s top turbine manufacturers alongside one of North America’s leading wind energy owner-operators with vast experience working on non-Siemens turbines, means the market now has a new and powerful choice. Customers may turn to either Siemens or Duke Energy Renewable Services when it comes to serving their multiple-brand O&M needs. The North American wind energy market, particularly the U.S. market where the industry’s maturation is continuing with nearly 50,000 wind turbines installed, is experiencing changing dynamics. Customers are seeking a single point of contact to provide service and maintenance for a wind project’s entire fleet and flexibility in service contract scope. Siemens is adapting to this changing environment through innovative solutions, as well as through increased investment in service R&D, a new modular and flexible portfolio and a robust digital services portfolio. With expertise in a wide range of technology, including eight turbine manufacturers, Duke Energy Renewable Services maximizes wind asset performance and drives revenue. It also offers remote monitoring and asset optimization through its Renewable Control Center. Duke Energy Renewables, part of Duke Energy’s Commercial Portfolio, is a leader in developing innovative wind and solar energy generation projects for customers throughout the United States. The company’s growing portfolio of commercial renewable assets includes 20 wind projects and more than 50 solar facilities in operation in 14 states, totaling about 2,800 megawatts in electric-generating capacity. Learn more at Duke Energy Renewables. Duke Energy Renewable Services, part of Duke Energy Renewables, operates and maintains wind, solar and battery projects for customers throughout the United States. The company's growing fleet of owned and third-party wind and solar operations now spans 73 projects in 15 states, totaling more than 4,500 megawatts in electric-generating capacity.